Tennis can be a tough sport to learn. We have to master footwork, ground strokes, serves and a variety of other tactics. But what makes tennis unique from, and often more difficult, than other sports is that there are different types of surfaces that we can play on! 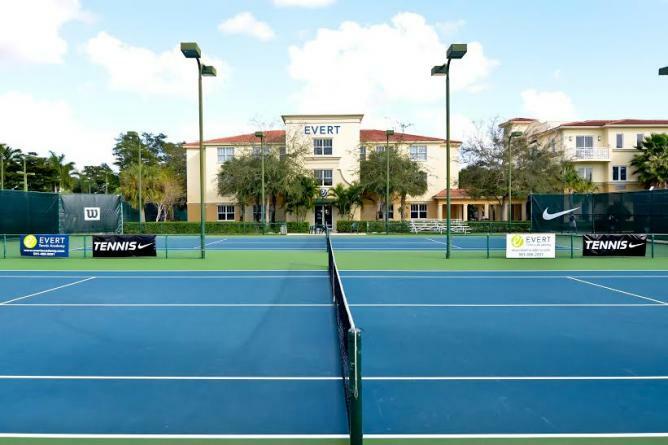 Nearly all sports are played on just one court, but tennis can be played on a variety of courts like hard top, clay and grass. Though the game stays the same, the techniques and strategy must adapt to the differences in the court. Think about the French Open—a tournament played on clay. 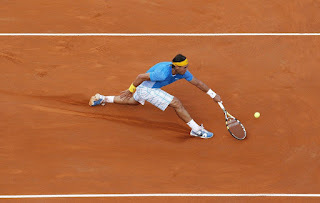 It was dominated for many years by Rafael Nadal because he was simply the best at playing on clay. He mastered the clay court and it truly showed in competition. 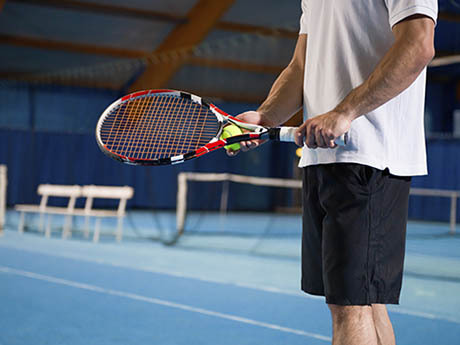 If you’re a member of the Tennis League Network and find yourself playing regularly, or even occasionally on clay courts then you need to adjust your game to make sure that you’re competitive in all environments. 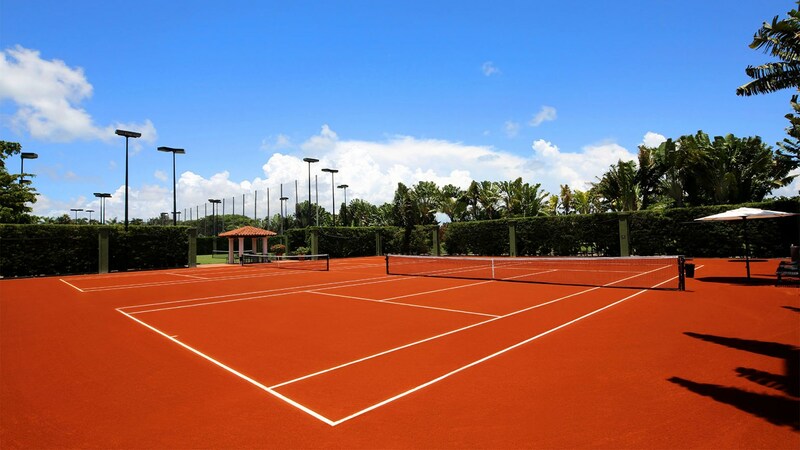 You’ve probably noticed that clay courts aren’t found everywhere. That’s because clay courts require a bit of upkeep, and don’t do well in dry, arid climates. They can be difficult to maintain compared to hard courts, which is why the latter are almost always found in public. 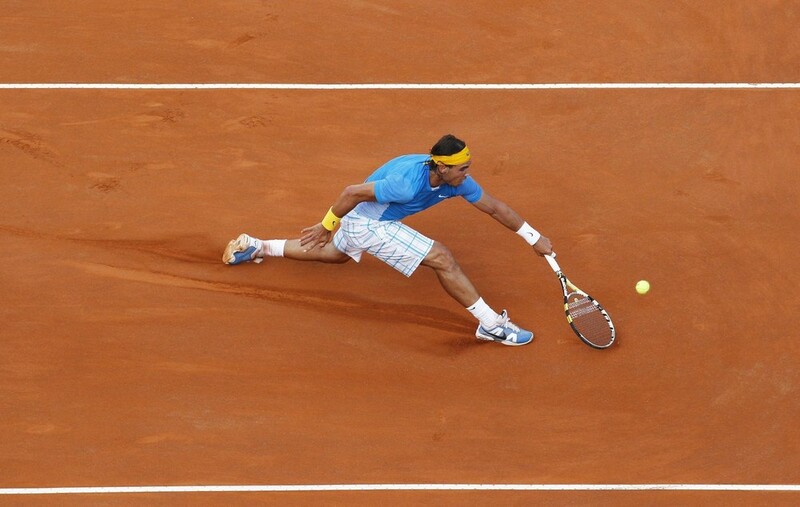 In general, playing on clay slows everything down. Hitting winners on a ground stroke is going to be quite tough as players will have more time to attack the ball. Balls will also bounce higher, and players should prepare for that. This should play into your grand strategy. Know that most of the game will be long, drawn out rallies at the base line. Because the ball is moving slow, you and your opponent won’t be reaching for balls, rather you will be more well prepared to respond to them. So instead of trying to put shots away with big winners, take more time to focus on your groundstrokes and be as accurate as possible, looking to make your opponent commit unforced errors. Also, part of the ball bouncing higher has to do with the spin on the court. Clay courts exaggerate spin which not only makes the ball bounce higher than normal, but changes the way the game is played on clay. Do your best to avoid flat ground strokes, opting instead for slices and top spin wherever possible. Footwork is something else that players will have to work on. It is much more difficult to master than on regular hard-top courts. Some players embrace sliding across the court, which is effective at moving quickly. However, be careful when doing so is sliding across the court can cause injury if the court is not well maintained. 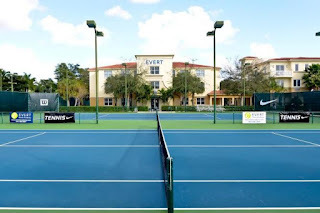 If you really want to master tennis, then you’re going to have to learn how to play well on clay courts. And the best solution for this is to practice! 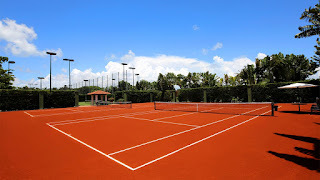 Try to play competitively and practice as much as you can on clay courts if you know that future matches will take place on clay. Observe what shots are more effective, what footwork techniques work, and other strategies that will help you dominate the clay. 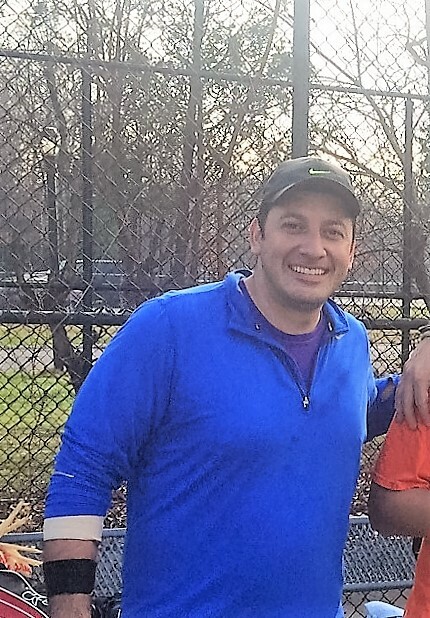 Sharif Charles has reached veteran status with the Tennis League Network in just under two years—an impressive feat! 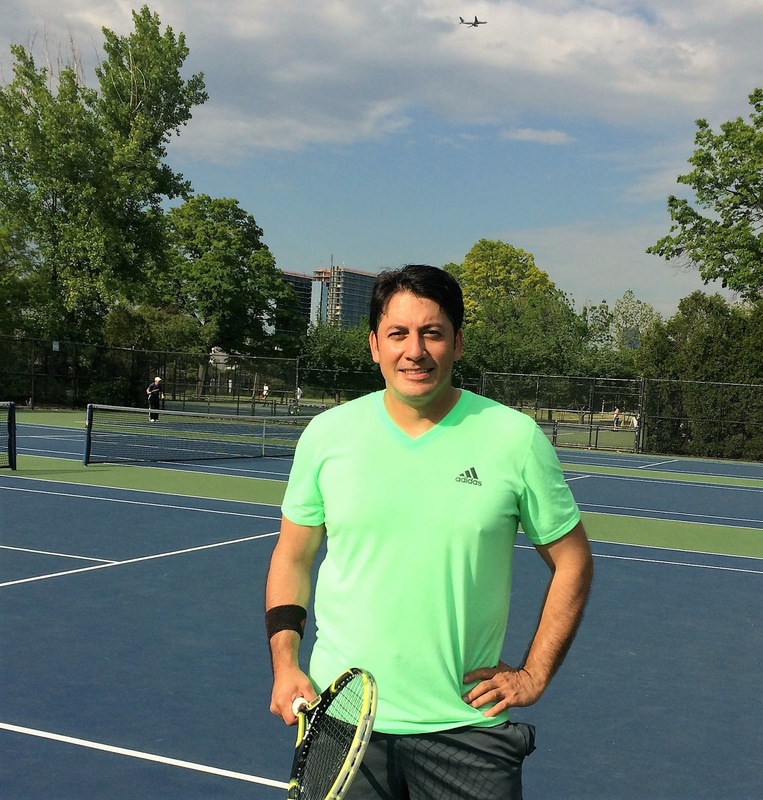 Today we want to share Sharif's story and how his experience has been so far playing with the Tennis League Network. Sharif was born in Raleigh, NC, but then moved to Newark, NJ as a young child where he spent his formative years. He graduated from a small college in NJ, William Paterson University, with an impressive double major in computer science and mathematics. He currently works for Merrill Lynch as a Financial Advisor. 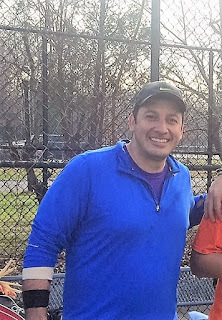 A few years ago he moved to Levittown, PA, a town right on the New Jersey border, and that's where he started playing tennis again after a 5 year break. He joined the local tennis league, and also a USTA team. He then joined Tennis Philly after moving once again to the City of Brotherly Love. Some of his hobbies outside of tennis are basketball, bowling, playing chess, and listening to all types of music. He loves watching sports, but roots for the Chicago Bulls, and San Francisco 49ers over the Philly teams (Can't blame him too much). Hi Sharif, and thanks for joining us. Firstly, how long have you been playing tennis? What got you started and what has kept you going? I started playing in Newark, at the age of 12. I picked it up after watching the Williams sisters. 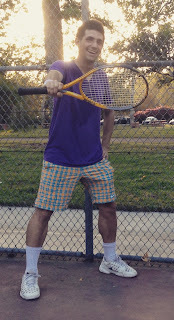 My mom purchased racquets for me and my friends and I went to park everyday in summer and practiced. When I got to high school I played on the varsity tennis team. I played 1st singles throughout my high school career (my team sucked lol). I didn't really get a hold of my game until I joined the Levittown league. That's when I really started incorporating strategy. My backhand is pretty solid now, and I love using my inside out forehand shot! I love the mental side of tennis too. I love the fact that a player can win on any given day, and tennis is not always about being physical. I love that there are many different games, and I love that the players use these different types of strategies. I love that it is an individual sport, and you can only count on yourself to get through tough times. This is my second season as a member of the Men’s Competitive 3.5 league. I originally learned about the league through my friend Keith Wright. Excellent. And how often are you playing, in general and with the league? I play about 3-4 times per week in this league. Overall, I try to pay at least 5 times per week. I like playing Myke Hill and Keith Wright. I like that they are aggressive players, and their games suit my style of play. They push me to play better. We usually have battles when we play. Can you tell us about any memorable matches that you've played? My most memorable match was probably against Grant Scavello. I won the first set routinely, but he raised his game in the second set, and I was down 5-2. However, I knew if he won that set he may have won the match because of momentum. I came back from 2 breaks down and won the match. My favorite player is Venus Williams on the women’s side. I love the way she plays. I love her aggression, and tenacity to never give up. She is an amazing player. On the men’s side, my favorite player is Gael Monfils. I love how he is a defensive player,(like myself), but he also can go on the offensive at any given moment, and he is electric on the courts. I personally love the tennis Philly league because it allows me to play almost anytime and the players have great attitudes . Sharif, thank you again for taking the time to do this interview. Have fun out there this Spring!